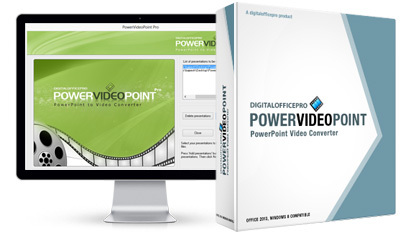 PowerVideoPoint Pro is a comprehensive and efficient conversion tool that helps you to easily convert your professional looking PowerPoint presentations (*.pptx, *.ppsx, *.ppt and *.pps) to various video formats that can be uploaded to video hosting websites like YouTube, and played on Windows Media Player, Portable devices like iPhone, Pocket PC, iPod, Blackberry, etc. 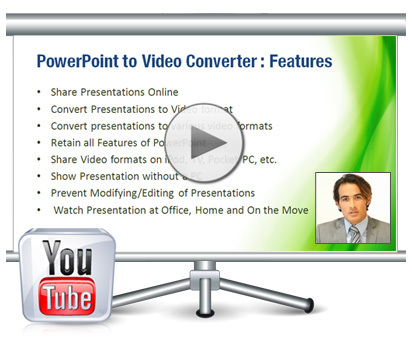 The converted PowerPoint presentations can be played on TV or PROJECTOR with the help of Video player. 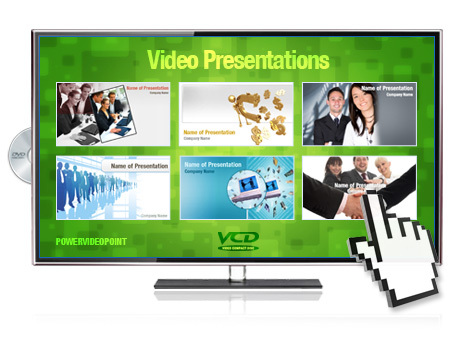 Create presentations with your own video narration. The converted presentations play like self-running slide show video presentations with narrations. Since narration assimilates information for re-telling, it can play a key feature in any presentation. It improves accessibility and increase engagement on part of audience thereby making the gathering lively and active. 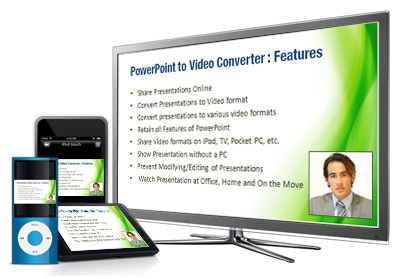 Share Video formats on iPod, TV, Pocket PC, etc. 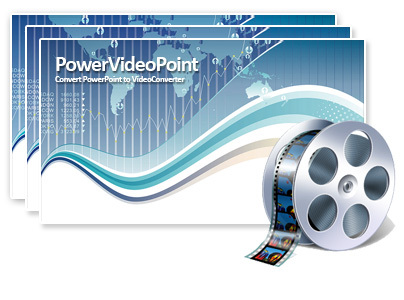 This PowerPoint to Video conversion feature provides for a fruitful and innovative way to showcase anything created in PowerPoint. Be it Advertisement, Slogans, Banners, Business promotional activities, Product or Service launch etc. This can be used in schools as teaching content, to display presentations on Trade shows, Digital signage, Store displays and for various other courseware.